I did a lot of ‘word of mouth’ marketing before my launch. I knew that many of my friends, people I know and many others were looking for work from home job opportunities and could not get past the scams. I posted about the blog in forums, talked about it in different Facebook groups related to remote jobs. Now, after one month of blogging my page views are over 16k. Some of my posts had massive page views, maybe that is not much for a seasoned blogger, but for me it was HUGE. I had zero followers on Pinterest and now I have 280 and it is growing. I want to increase the monthly viewers to 200,000. Boardbooster automates all of your pinning processes. You can schedule your pins to the boards, decide the best time to pin, see your best-performing pins, run campaigns and so much more. The monthly plans start at $5 and your first 100 pins are free. If you are having trouble getting a hang of Boardbooster, Rosemarie Groner of The Busy Budgeter has awesome videos on every feature of this tool. Update: The MOST USEFUL resource that helped me to get traffic from Pinterest is Pinteresting Strategies. This is by far the most useful ebook for beginner bloggers to get started with Pinterest. I jumped to over 2.5 million views on Pinterest after implementing tips in this ebook. It’s gold! Most of the traffic came from my participation in the groups. One resource which I found very useful for understanding the Facebook game was Brittany Ann’s ‘Strategies Worth Sharing‘. This ebook comes with super actionable tips on making your Facebook page look awesome and getting likes. This was a BIG surprise for me; I was not sure if I would get any traffic from this social media channel at all. But as it turns out, StumbleUpon is my second biggest source of traffic. Once I knew it was bringing good traffic, I started making some changes to my profile. I know, that’s not a big number, but it is growing slowly. I am aiming to double that number for the month of September. I am a bit slow on Instagram. It is a visual media, and I find that along with your content, photos do well on Instagram. Lucky me, I am photography buff, so I keep posting the photographs that I take along with my posts. Hope to see the number grow next month. I am totally new to email marketing and did not have a plan for the list building when I launched. I did have a pop-up with my newsletter and job leads opt-in. What I had learned is, content upgrades and opt-in’s are the starting points of building a list. If you are new and struggling with building your email list, then you will find Meera Kothand’s blog extremely helpful. She has many posts which are exclusively meant for newbies. I believe in doing at least one thing every week towards the growth of my blog. Maybe, I should do more, but for now, I want to learn a lot and do things slowly. I created a simple content upgrade for one of my posts and promoted it. I reached out to a transcription company to interview one of their freelancers. Monetizing my blog is one of my goals and in that process, I signed up for Making Sense of Affiliate Marketing course. I have followed Michelle Schroeder-Gardner’s blog ‘Making Sense of Cents‘ for a very long time now. She makes $50,000 a month only from affiliates. Awesome, right!! I know the power of affiliate income as I have some Amazon stores from which I earn a good side income, which is entirely passive. 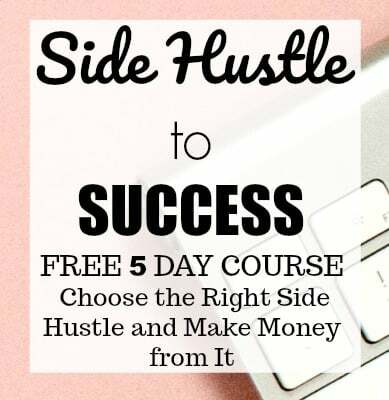 So, investing in this course to learn more about affiliate income strategy was something which I would definitely go for. I will be publishing a review of the course soon in detail. 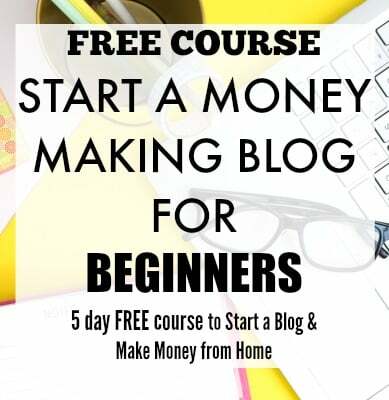 If making money from your blog is your goal, I suggest you should invest in this course. You have to promote on different platforms. I thought promoting on Pinterest, Facebook, Twitter and Instagram was enough. But, StumbleUpon surprised me. It is a good strategy to promote on different platforms and see which one gets you the most traffic and then work more on that channel. Researching and writing posts take up most of my time. I do love promoting but what I have learned is automating the promoting part can save a lot of time and can give the best results. I know my traffic spiked because of my pre-launch promotion, but I will continue to follow the strategies I am using now and see how I can grow further next month. I am aiming for 25,000 page views in September. I know that’s a big target, but I think it is achievable if I try harder. I am focusing on growing my list. I am trying to work on getting the list up to 100 subscribers. Fingers crossed! With many more posts about making money from home, interviews and a super useful freebie, I am excited about my next month. How was your first month? Please share in the comments, I would love to know about your update. How exciting! I love reading about blog income and traffic reports. They are inspiring and motivating. 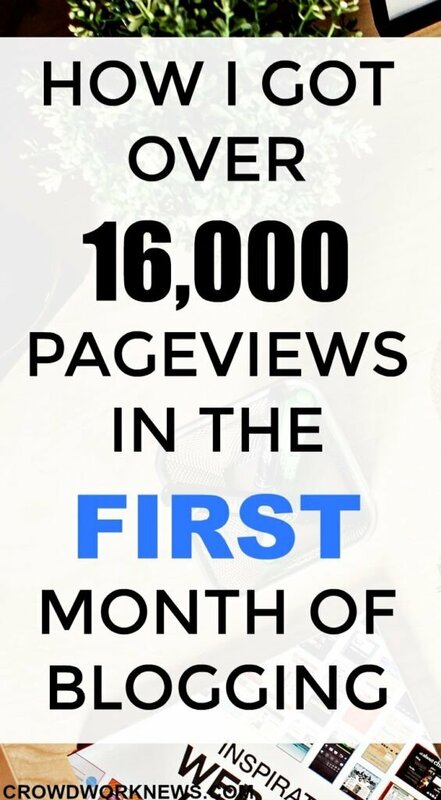 That’s amazing you had 16K pageviews for your first month! I only had 4k! You are definitely on your way to a growing tribe of followers! Thank you so much for commenting. Traffic and income reports inspire me a lot. I am working on growing my subscribers this month. I love your traffic reports and hope to see your income report soon :-). You are such an inspiration!! 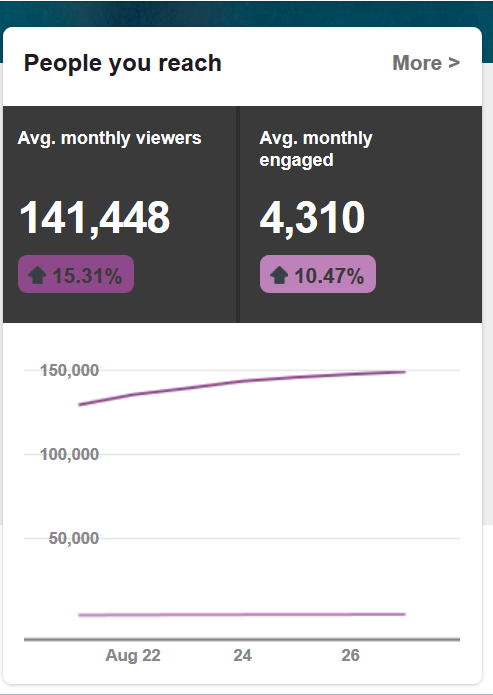 That’s an epic level of traffic for your first month! Well done. Can I ask what levels of traffic you’ve been getting from StumbleUpon? Thanks, hoping to increase the numbers next month. StumbleUpon drives 40% of my traffic to the blog. Thank you, I know how it feels. It definitely helps if you have some tools or resources to make the process easier. Glad this post helped. Congratulations Sireesha! What an wonderful achievement, thank you for breaking it down into segments – its interesting to see how people use different social media channels and traffic boosting strategies. Thank you!! Happy to know this post was helpful. Yeah, it is always good to test out which social media channel performs better for you. I know many bloggers who get HUGE traffic from Instagram, which is something I am testing now. Will definitely have to implement these tips! I’m having a bit trouble joining Group Boards, though– any tips for how to go about this? Thanks!! I definitely suggest you try the Pinterest group boards and Boardbooster. These two things are the biggest reasons of my Pinterest traffic. Hope your numbers go up soon. Awesome post and mind blowing stats. U created records. Congrats on your phenomenal growth. The images are totally enticing. Good work.where do you create them? I’m there on pinterest, recently joined two major group boards,they are not working for me. Will give a try for smaller boards.I’m there on Facebook groups, which ones do you find are interactive and generate traffic? Thanks a lot:-) I am using Picmonkey for editing my images. You can also use Canva, but I am more comfortable with Picmonkey. You can find more group boards for Pinterest on PinGroupie, it’s a group board directory. I am in around 8 Facebook groups. I am in Women Winning Online, SH Nation, Turbo Blogging & Business. All of these groups are amazing, they share so much information. Happy to help, if you have any more questions. What incredible information. This is seriously some great tips. StumbleUpon has been a bit of a mystery for my blog but I am going to look at the QuickSprout post now. Happy you found this post helpful:-) I am still working on making few changes on my profile in StumbleUpon. I know it’s not the ‘usual’ traffic source for many, but I am testing to see how it does in the coming months. For some reason this made me think of my numbers. I never post about my blog to Pinterest or Instagram, and it MAY help for me to do so. I hear Pinterest is a great for views/traffic, and I should probably do something about it. Thanks!! You should definitely post your blog content on Pinterest, it is the MAJOR traffic source for many bloggers. this was a great read. I have grown my blog so fast in the last two months. I love hearing different ways i can keep doing that. Wow that’s so great! Congrats on your first month of blogging! This is such a great breakdown! Thanks for this post, I love seeing how other bloggers grow their brand! Wow, fab stats! It sounds like you have a really good strategy. I really need to sit down and work out a schedule and strategy to be consistent with promoting. Glad you liked the post:-). I am still new and learning to promote. It is quite exciting to discover new ways of promotion. I would love to join your group board. Thanks for the invite!! Congrats on getting 16k page views in the first month. I am also trying to use StumbleUpon to increase page views and am surprised to see my results. Do you have any suggestions on how to get more comments? I don’t seem to much comments on any of my posts. Thanks:-). StumbleUpon is a social tool which I think can give you good traffic. I am happy that you are seeing good results with your strategy. I don’t do anything particularly for comments. One thing that I do is connect with other bloggers, which results in they commenting on my post, if it interests them. Wow…its so inspiring to see your stats. Sireesha, you may want to double check that your Google Analytics Code isn’t duplicated on your site, could be leading to inflated stats! Congratulations on your first month I definitely need to read that ebook. I’m still lucky to get 10 visitors daily.